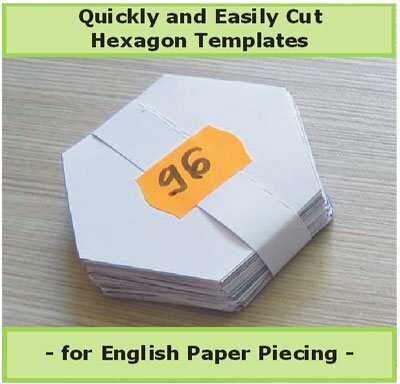 "Many people buy already-cut hexagon templates. But if you need only a few, or if you don't want to wait 2 weeks to receive them (my case), or if they are too expensive (my case again), here is a method that cut the time needed for this task by 1/2, 2/3 or even more. 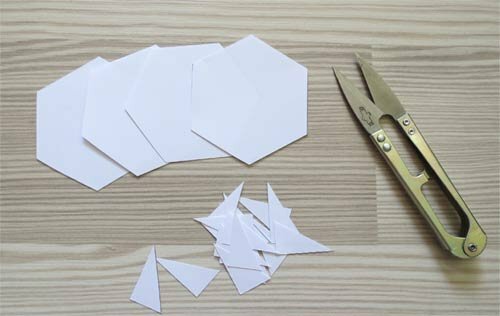 I would have loved to know this method when I cut 3400 hexagons, one by one, for my Grandmother's Flower Garden quilt.